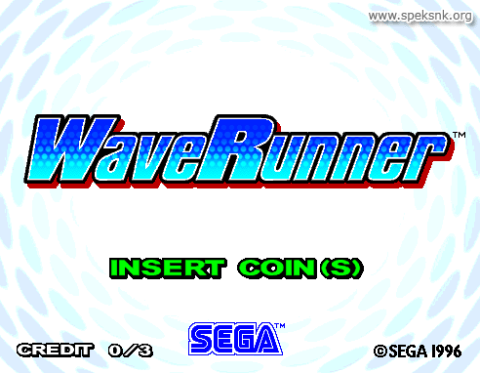 Runs on the Sega "Model 2C" Hardware. Released in October 1996. 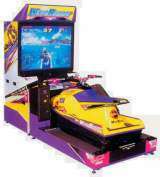 This game was popular in arcades, as it is seen at almost every Chuck E. Cheese's restaurant in the United States. Was presented at the AMoA (Austin Museum of Art) in Austin, TX, along with other Sega arcade games from September 26-28, 1996. A cameo of Sega's mascot, Sonic the Hedgehog, is in this game. 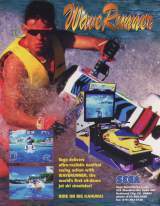 On the back of the racer's lifejacket, a picture of Sonic's face is shown. A cameo of this game is seen in the 2000 movie, 'Dude, Where's My Car?'. 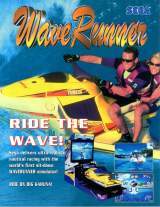 Part of a WaveRunner cabinet can be briefly shown in the arcade scene. * Big Head : When jumping off a ramp, press the START button and the player's head will become larger.